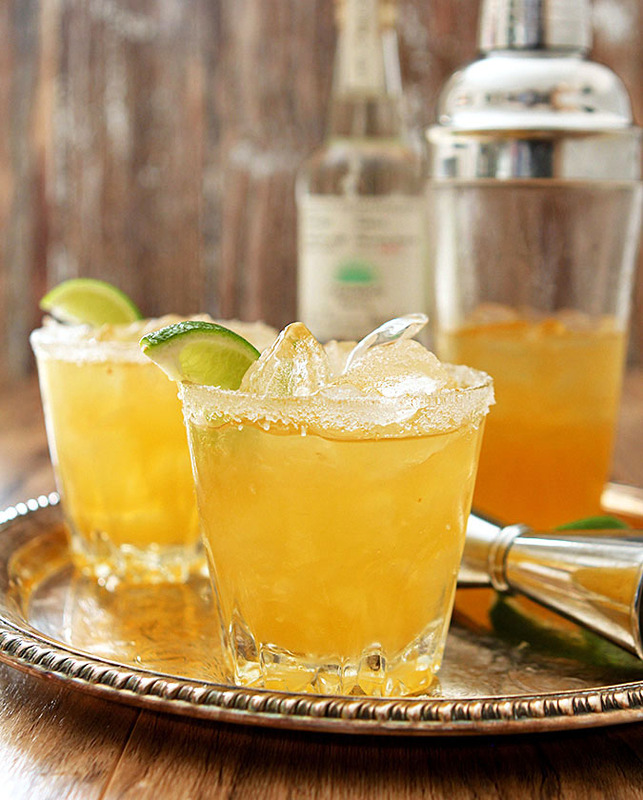 The Casamigos Tequila Margarita Cocktail is one of my favorites. 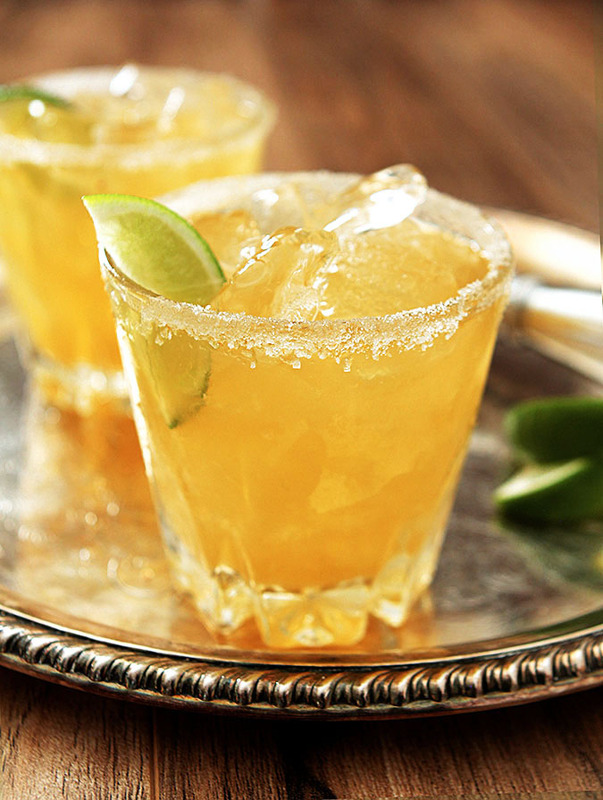 A simple cocktail made with great tequila and fresh juices; it’s a favorite year round. I have a very old memory in the far reaches of my brain that remembers that my first experience with a margarita had me wanting to spit it out. It was awful! I blamed my lack of experience with hard alcohol but over the years I have given that younger version of myself a break…I was right to not like it. Chances are it was made with ‘gold’ tequila, ready made sweet and sour mix and probably some bottled lime juice. Even thinking of it makes me cringe. I really have come a long way baby and I love margaritas in many forms and fashions but I have to say, this Casamigos Margarita is simple, old school and really as good as they come. 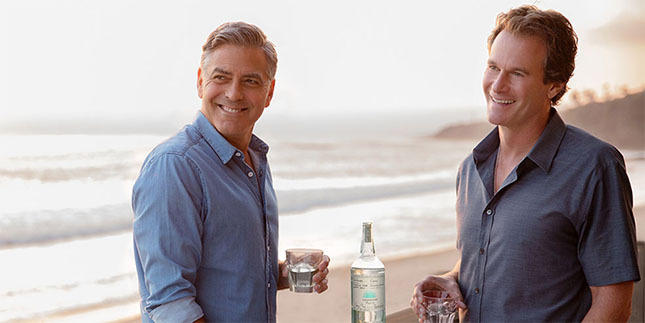 I remember hearing a few years back that George Clooney and his pals Rande Gerber and Mike Meldman had joined forces to launch a tequila brand called Casamigos; a nice contraction of Casa (house) and Amigos (friends) – see, that year of Spanish in 6th grade was worth it! Interestingly enough their original intent was not to make something to be released to the public but simply to have the best-tasting, smoothest tequila to serve to family and friends. While that has changed with a shift to marketing to the public for which we should be eternally grateful, the methods and results are still the same and their process is unique and dedicated to keeping that quality they loved when just sipping with friends in their homes in Mexico. Made from hand selected 100% Blue Weber agaves that are grown in the cool climate of the Highlands of Jalisco, Mexico, they have several steps that make this product special. The agave piñas are roasted in traditional brick ovens for 72 hours, while most others steam theirs for 7 hours. Their Master Distiller uses a special yeast blend resulting in a consistent, refined flavor, unlike the commercial yeasts others use and they allow for extra slow fermentation; using an 80 hour fermentation process compared to the average of 48. The end result? What was missing in the first margarita all those many years ago; a smooth tequila without the harsh bite of cheaper brands that suffer from a quicker process and lack of aging. I decided to try their favorite house margarita; it’s simply made with fresh citrus juices along with agave nectar instead of a simple syrup. I’ll use a simple syrup when combining fruits with my favorite margarita base but agave just seems right when making something that you might find in a Mexican casa. I feel I must share with you my own personal history with George; sure, sure, I know all women love him but he and I have a history and well, I claimed him first. Years ago there was a television show that aired on Saturday nights titled ‘Sisters.’ It was just that; a series about the relationships of four sisters. Swoozie Kurtz, Sela Ward, Patricia Kalember and Julianne Phillips (Bruce Springsteen’s first wife!). I was a single mom without a personal life…I mean none. I had no family to babysit or help, so except for those 4 days a month when their father pretend parented I never went out. My kids needed me and I both didn’t want to leave them with a sitter, and even if I had wanted to I couldn’t afford it! So my Saturday nights were television viewing…stop, try not to be too jealous! The last season I recall the character played by Sela Ward met a guy, a cop. She was a high spirited woman and seemingly found the right guy who could deal with it and love her back. And if she were not going to reciprocate I was available but OK, I digress. He was adorable and, well, adorable. I have included for you a scene of their first kiss (be still my heart) but remember most vividly the last episode of the season. The scene had him leaving their place and getting into a car and when he started it, it blew up. OH NO…not my lover boy!!! I was crushed and I do recall some tears. I’m not even sure I knew his real name but Falconer was dead; gone forever. Sob. Fast forward to the next year and all the buzz about a show called ER and lo and behold, ‘Falconer’ was one of the main characters, the requisite heartthrob; Dr. Doug Ross. Women all over the world swooned and that swooning has never stopped. Still, I will always know he was mine first (and well, probably a bunch of other lonely hearts women at home with their kids!). So we’ve sort of come full circle…well in a very big stretch of the imagination at least. George married another woman (What??) and I create cocktails and in that arena we are once again connected. Eat your hearts out…or maybe even better; go forth and buy a bottle of Casamigos Tequila and make one of these cocktails yourself? He signed my bottle. OK, his signature is on every bottle but still…it’s a really great tequila and this is a terrific cocktail and I will still love him forever but now for different reasons. Cheers! 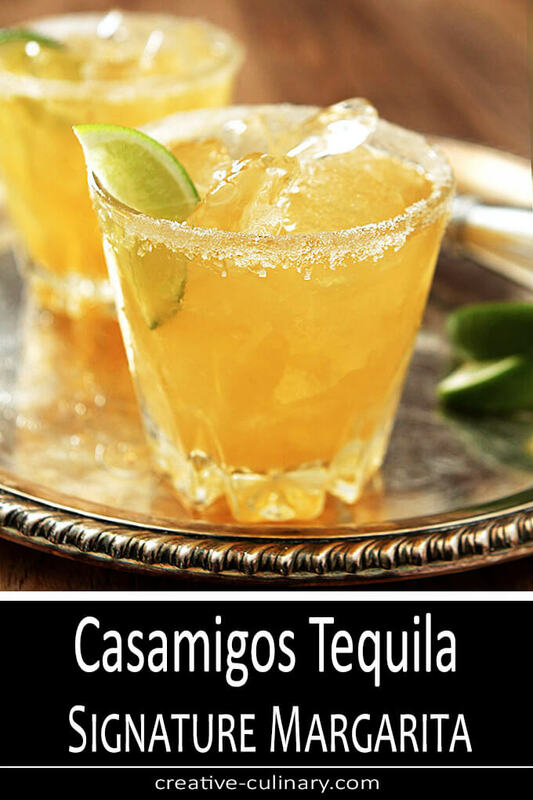 A simple but sensational margarita using Casamigos Tequila. All fresh ingredients make all the difference! Shake vigorously for 10 count. Pour into a rocks glass with or without salted rim. Garnish with lime. The suggestion is to serve with or without a salted rim but I have come to love a rim that is finished with a combination of half coarse salt and half sugar. I've actually got several mixtures and the one I used today is a combination of salt, sugar and orange rind. If you grate rind into salt and let it dry, it will actually preserve the color a bit so it's more of a visual touch than anything. Still it's personal preference; do what you want! I was provided with the bottles of Casamigos Tequila; all commentary is my own. Such a joyful and honest write up of your journey with tequila and the on going love of the men that brought it into this world. I never thought I could or would admit to loving tequila ever in my life, but it is undeniably my drink of choice today…straight up or on the rocks. Sip and savor! My tequila journey started when I had the incredible opportunity to fly for a wonderful company, man and family….DiscoveryLand Company and CEO, Michael Meldman. Fly as in flight attending on a spectacular private jet for a forward thinking land development company that strives everyday to be the best for the best people. After several years of flying on the jet, Mike started a personal adventure with George Clooney and Rande Gerber in their casas in Cabo San Lucas, Mexico. Their goal? To develop “their own” masterpiece in the arena of tequila. I remember the early years of development like it was yesterday. Taste tests from plastic bottles on board the plane and discussions of how to perfect it. They wanted something special, something they could personally enjoy between themselves, family and friends. Soon they found this stuff was just not any tequila, it was meant to be shared. To defy all those people that put a “hell no” to ever touching tequila. Defied the odds? They sure did and blew away the myth of, I hate tequila to….this is tequila? Really? This is damn good!! 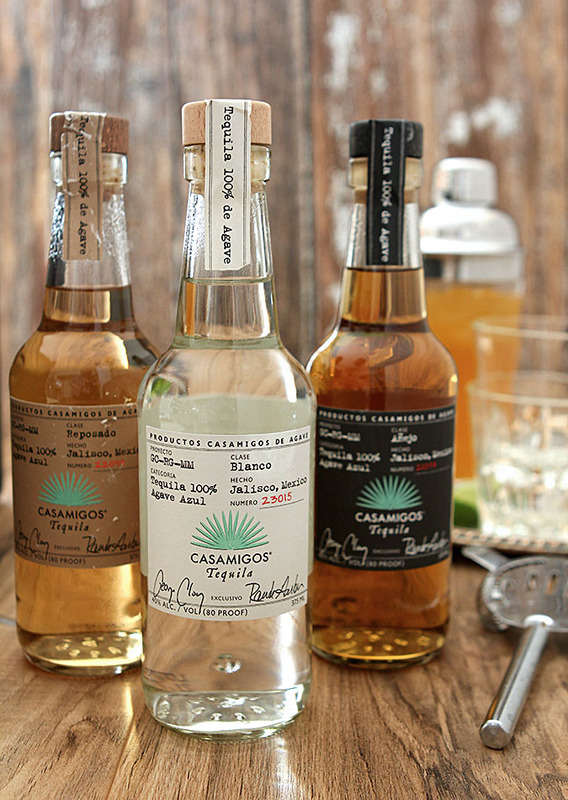 So goes the great story of Casamigos and my own love of tequila…Casamigos Tequila. It’s so smooth, so clean and with many a story of days and evenings of enjoyment….some I will keep treasured in my heart and mind forever. Wink wink! Those 3 amigos made it happen and the rest is history. From a dream between friends to sharing that dream with the world, George, Mike and Rande made it for all of us to enjoy and boy do we! It’s been 12 years since I started my flying adventure with Discoveryland Co and Casamigos and everyday is a true thrill, love of the sky, the destinations and the tequila I have learned to love and respect. The 3 amigos are truly genuine men that love and enjoy what they do….and it’s hard not to love them back. It doesn’t get any better than that!! What a great story Jacci; thanks for sharing it with me and my readers…and for bringing George into the picture…Cheers!!! Nice drink! I had honestly forgotten about George Clooney’s tequila! Orange juice! Really interesting. I go back and forth between thinking margaritas should be smooth smooth smooth or that they should have somewhere between a bit or a bunch of roughness to them. Smooth has been winning out for several years, though, so it sounds like this would be perfect. Great drink, super post — thanks. You know what’s funny is that I put some OJ in my favorite marg too so this was not so surprising. This was too good to have been this easy; my favorite takes some time and I don’t always have that!